The Brazilian Grand Prix took just over three hours to be completed, with a delayed start due to the pouring rain, five safety car periods due to rain and crashes, and two red flags for similar reasons. Lewis Hamilton got off to a good start behind the safety car, and he managed to control the race from the front despite the stop start nature of the event. 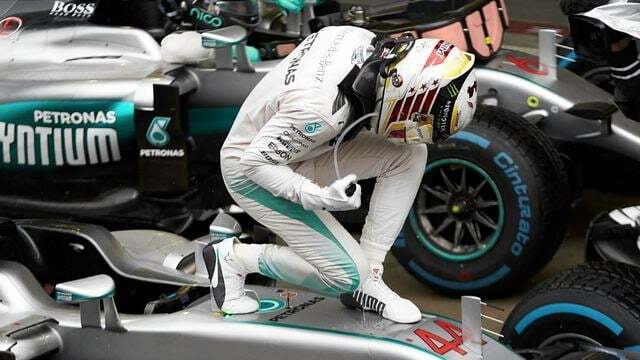 He took race victory from Nico Rosberg, narrowing the championship gap to just 12 points going into the final round in Abu Dhabi. Meanwhile, Romain Grosjean crashed on the outlap so failed to take to the starting grid, and thus couldn’t capitalise on his great qualifying position. Marcus Ericsson and Kimi Räikkönen both spun off, Jolyon Palmer collided with a Toro Rosso and couldn’t rejoin after one of the red flags, Gutiérrez retired and stropped off into the garage to argue with his team, and Felipe Massa spun out only to run back to the pit lane with a Brazilian flag, cheering crowds, a standing ovation from all the teams he passed and barely a dry eye in the house.